We specialize in Cyber Security and use the top security products in the industry to secure company from both external and internal threats. 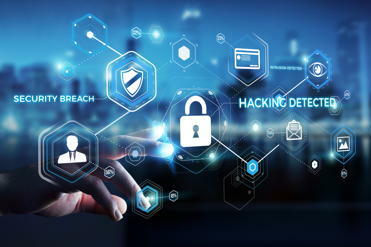 We use a multi-layer approach to protect your company's assets, smart phones and data from all types of security threats. Our solution starts at your firewall and protects all devices including your smart phones. We provide a full suite of technical services to our clients, this includes server, PC and networking equipment install, monitoring and maintenance. Our certified engineers provide services such as server installation and upgrade, networking equipment design and installation as well as help desk services and office 365 migrations. 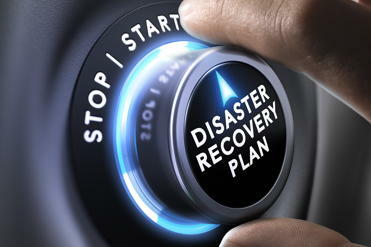 Business continuity is not just backup! It is a holistic approach that is part of a comprehensive solution to keep your business up and running no matter what type of disaster arise. Sky Technology works very hard at what they do. They actually CARE about the customer and it's not just about earning a few dollars and spending a few hours. They actually focus on establishing a relationship with their clients – combined with a high level of integrity and honesty. They are really a trusted partner. Sky Technology helped modernize and upgrade our entire technology systems. We were running outdated and unstable servers and software, and our network was slowing down our business. On top of that, we were struggling with a recent upgrade that never worked nor was properly installed. That is when Sky Technology jumped right in. They made smart recommendations and delivered a seamless transition to our new network. No outage or downtime! What I loved about their approach: honesty and a comprehensive approach to all things technology. They took the time to understand our specific needs, then came to us with several options. Their upfront diligence and expert implementation resulted in successful modernization of our network. They succeed where others had failed. That is what I call a true partner! I’ve been working with Sky Technology Group for over a year. Sky Technology Group created and delivered a seamless migration plan from our previous IT Support Provider. They evaluated our technical and support requirements that were specific to our business and customized the service/support model to our needs . In short, I have found our experience with Sky Technology Group to be very positive. I am impressed with the work Sky Technology Group has done, as well as their professionalism, courtesy, and caring customer service support. Over the last few years we have built a multi-million dollar digital marketing company with a national footprint. We have 60 team members and several of them are in different states. We have been doubling our revenues year over year and as we have grown, our IT needs have increased exponentially. Sky Technology has been there every step of the way. We have all had bad experiences with tech companies, from techs being non-responsive, to help desk staff that are barely understandable. As CEO, my time is very valuable so having a managed service company that is quick to respond and fast to resolve issues is a God-send. If you're frustrated with your IT Company and you're looking for an affordable, responsive, and forward looking managed service company to help you go to the next level, I highly recommend you contact Sky Technology. Sky Technology has supported our technology for a number of years and I have always found them to be extremely knowledgeable, very easy to work with and quick to respond to issues. 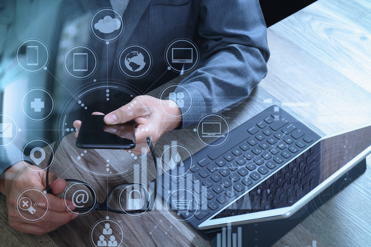 With their flat fee IT services, we are able to budget our company’s IT expenses while Sky Technology focuses on the systems that makes our commercial real estate brokerage run. I feel very comfortable recommending their service to any company looking for experienced and friendly technology experts – a partnership not just a vendor.